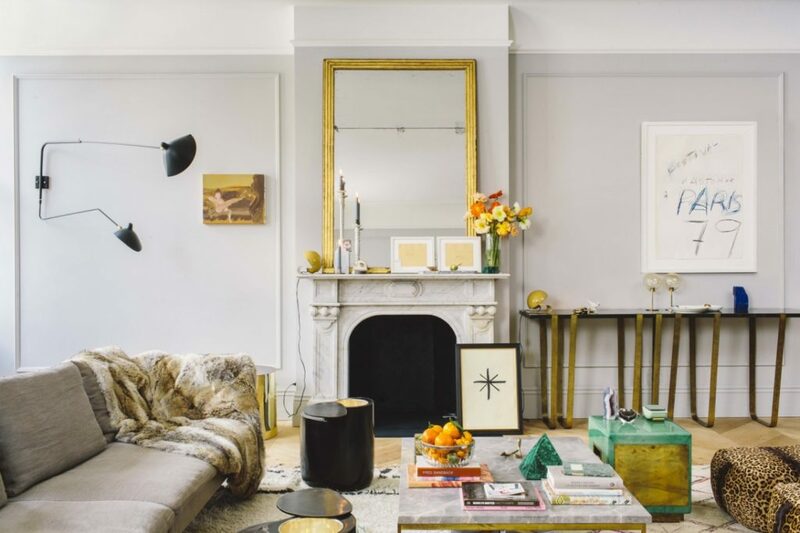 Jenna Lyons love of acid-bright hues is one of the reasons her interiors, specifically her previous Park Slope townhouse was one of the most liked and repined images on Pinterest. 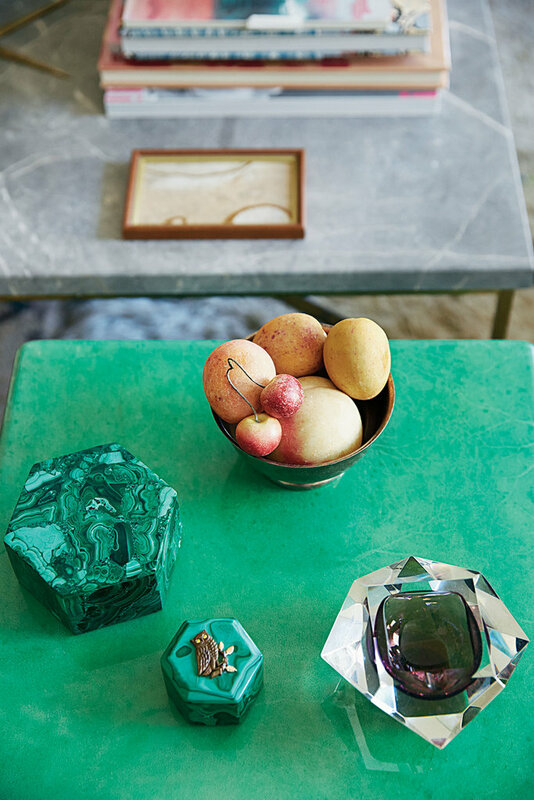 Lyons’s style has been copied down to its smallest detail. 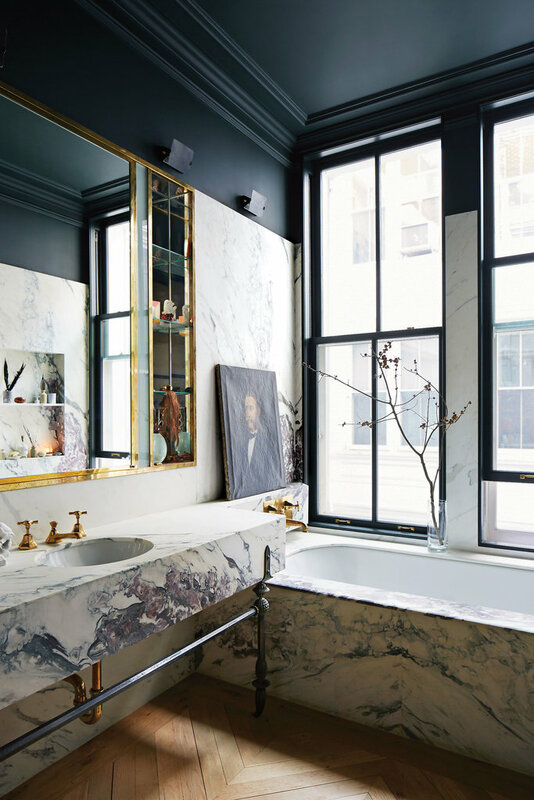 That’s due in part to her innate skill at mixing unexpected elements to achieve a look that feels fanciful if not quite fancy. 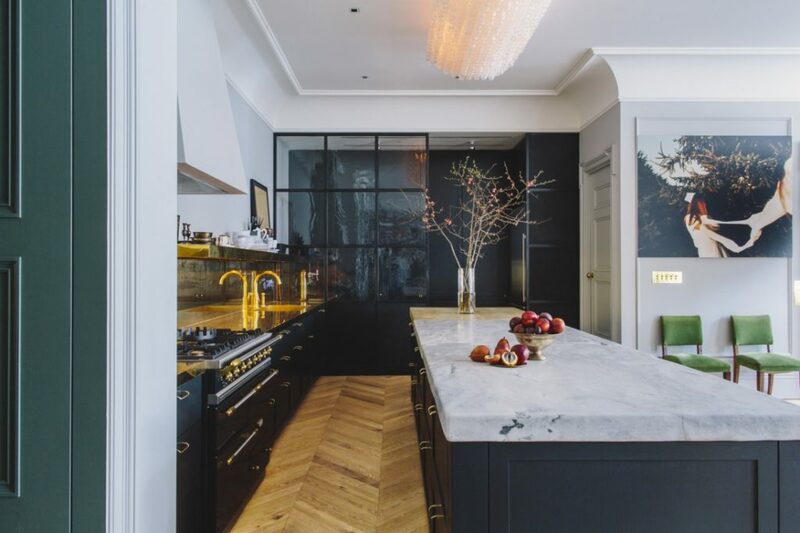 Her newly renovated 325square metre apartment, like Park Slope is an expression of her personal aesthetic. 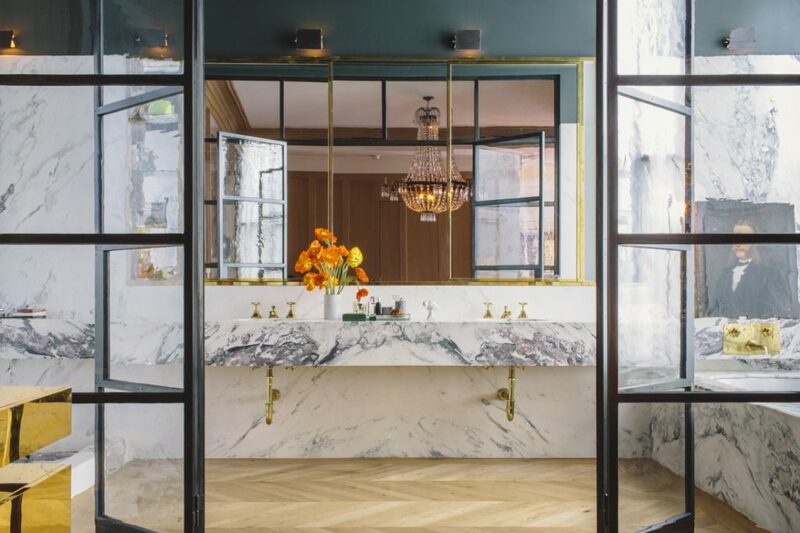 Situated in SoHo on the 4th floor of a 19th century cast iron building her home is a heavily accessorised, sumptuously textured series of spaces that feel familiar and warm. 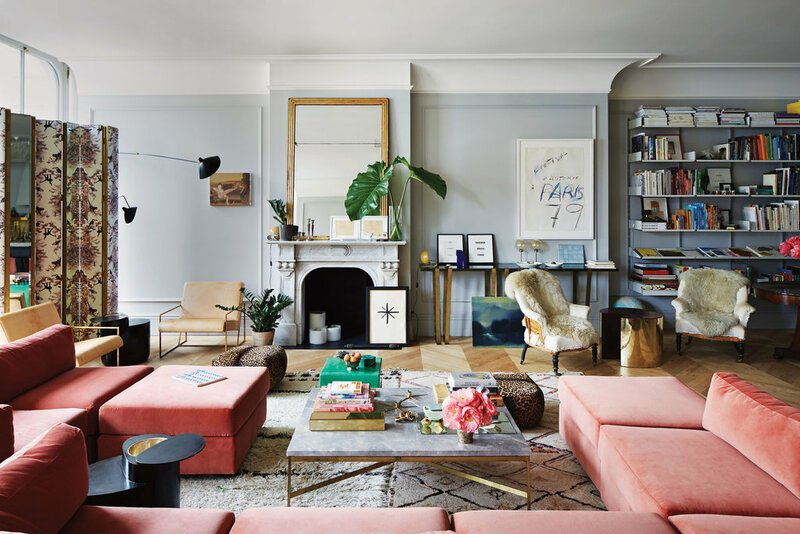 Walking off the elevator into Lyons’s apartment, we are greeted by that pink sofa and a living area that blends eclectic modernism – Monstera deliciosa leaves, leopard-print poufs with a bit of Old World Paris – antiqued mirrors, toile-printed panels. It’s feminine without being sweet, busy but not forced. A perfect balancing act.